Register Log In GliderCENTRAL Forums Regulations & Laws Stay awake and pay attention people! This has been going on for some time, but it seems to be stepped up since the incident in Ohio, municipalities, cities and counties are putting ordinances in place to limit or ban exotic pets. Not everyone is safe, as a responsible pet owner you need to pay attention to the ordinances and laws that your municipality and/or county tries to pass. Some of these laws are being written on a very broad scope leaving a lot of big grey areas as to what is legal and what is not, thereby leaving it to the discretion of the officer that responds. 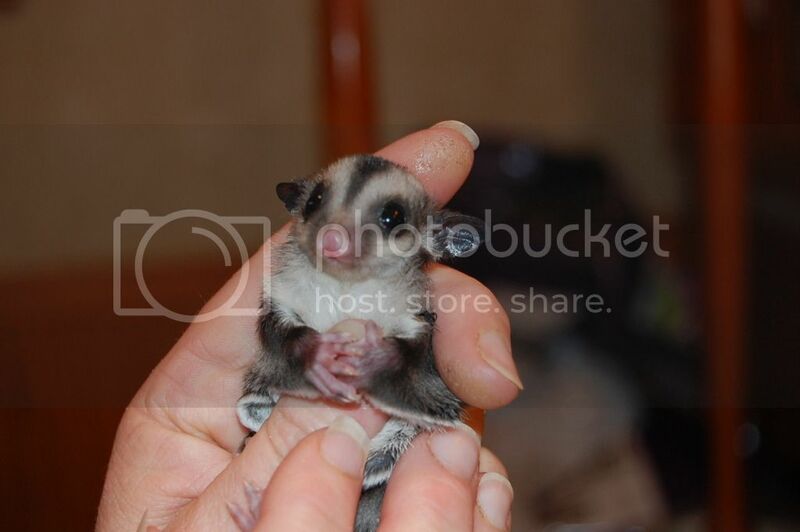 Right now I am working on getting sugar gliders exempted from an ordinance they want to pass in the county I live in. If it passes as written sugar gliders will be illegal in the county where I live. I have already attended my first of many meetings before this goes in front of the county board. What everyone needs to do in illegal states is to petition to get sugar gliders made legal. They were able to change the state law in Georgia and they are currently working on changing the law in Pennsylvania. It can be done, you must educate the people writing the ordinances and laws. But you must do it in a calm non hostile way. Well written emails and letters, no cussing or threats. Stay alert and stay pro active. Who is working on getting them legal in PA? What can I do to help? I live in NJ but my mom lives in PA, 15 minutes away. It'd be easy for me to go there and hopefully have some kind of effect on the decision if I knew what to do. Thanks! Last edited by etrnalsunshinee; 02/22/12 09:47 AM. I am not sure, I just know it is in the works. Just an update on what is happening in my area. City of Middleton - Sugar Gliders are exempt and legal to have as pets. Dane County - finally brought a revision forth and put it on the agenda for several of the county committees. All Marsupial were removed from the list of illegal exotic animals. City of Madison - The gentleman from Health and Human Services, who has been working on the language for the exotics law has written a revision for the City of Madison exotics ordinance where sugar gliders are currently illegal to own as pets, to exempt sugar gliders making them legal to own. He has also found a board member to sponsor the bill. It should make in onto an agenda in November and hopefully by the new year sugar gliders will be legal in the City of Madison. Janesville, WI - I recently found out that Sugar Gliders were illegal to own in Janesville, even though Pocket Pets was selling them in the Janesville Mall over the summer. I will be working on them next. I'm the same way, my mom lives in PA too. She's been wishing to see her grand-fuzzies for so long, and it's not possible. She lives too far over the border to chance it. IT's so silly that a 10 minute drive can be the difference between a pet's legality or non-legality. I wish PA would just pass the legislation so she could eventually see my babies....outside of my NY house. my parents are retired, and would be eager to have them, I"m sure. Feather I am very proud of you for all you are doing to have glider legal to own. You are truly a hero!!!! Tonight is the first read of changing the ordinance in the City of Madison. From there it will go to several committees for review and their recommendations will make or break the change in the ordinance. I am getting ready to leave for that meeting shortly. Best of luck at the meeting! I do basically the same thing except with BSL laws. Laws like these do not hurt the people that are already abusing animals, but instead they hurt responsible owners and their pets. A point that you could make if you have not already is these types of laws are costly for cites to enforce and often time spend money that is needed in other departments. As for exotic laws I can completely understand a law that prohibits someone from keeping a tiger in their back yard for the safety of community, but a sugar glider is in no way a threat to a community. Well next it goes to the committee, the guy that is sponsoring the revision to the ordinance thinks it should breeze right through with no problems. Gizmo and Widget played show and tell before the meeting started. I must be making some progress. I got a phone call this morning from a reporter with the Wisconsin State Journal, he did a phone interview with me and then sent a reporter out to the house at 4:30 pm. She took a lot of photos, Gizmo, Widget and Tucker were very cooperative with her. Can't wait to read the article, I hope it is a positive one. Wow! I didn't realize what one could do to bring before a committee the hope of making glider legal in illegal states. Good job! Great job, Kimberly. Will be looking forward to more updates. How do i find out whats going on in my county? Like id theit trying to makr them illegal? If your city or county has a web site watch the agenda for all of the council and other board meetings. Plus watch your papers as there are new paper people at the meetings. That is why I was contacted after the Common council meeting the other night for an interview and pictures of the gliders. That's awesome, Kimberley! Kudos for standing up for all of the suggie owners in all of those areas. I live in Canada but if there is anything I can do to help you please let me know. I would love to see a copy of that article after it is published if you would like to share. When it is published it should be available online. I will post a link. Here is a link to the article. Guess I am going to go to town for newspapers tomorrow. City Alderman Proposes Legalizing "Pocket Pets"
Just wanted to let you all know that the ordinance to make sugar gliders legal in the City of Madison went before the Board of Health tonight. It passed with only one nay vote, I don't think that woman has pets or likes animals. It goes back to the city council in about 2 weeks. Congratulations on getting this accomplished! The city council voted on the amendment to the exotics ordinance tonight, it passed! There were some no votes, one woman was under the impression that they were going to be turned loose by owners who didn't want them anymore and they were going to be an invasive species in WISCONSIN. The ordinance should be updated online in 2-3 weeks and it will read: No marsupials, except Sugar gliders. Two down more to go. Woohoo! Way to go, Feather! Addie,Igor,Heangel,Bashful,Doubledip,Sparky,Misty, King Badger, Badger Jr.,Queen Seabee, Princess Willow.